The beautiful salt walls that you see in so many salt saunas are now made from salt blocks imported direct from the Himalayas. Question…what are the benefits of the salt walls I see in salt saunas, are they just for show? Workers in the salt mines hardly ever suffered from bronchial diseases. A doctor from Poland discovered this in 1834. Asthma, Bronchitis, Cystic Fibrosis and even Hay Fever can be improved, as can Eczema and other skin conditions. Sufferers of the above often say that Halo or Salt therapy gives them drug free relief from their symptoms. Salt produces Negative Ions, which also helps to “counter” the effects of Positive Ions given off by many electrical devices such as computers and television screens. It is these Negative Ions which are often coupled to headaches and migraines, and also feelings of lethargy. It is no coincidence that we often feel so much better when we have walked by the sea shore and inhaled salt air. The salt blocks used in salt saunas allow a microscopic amount of salt to be released into the atmosphere within the sauna, but also look very attractive. 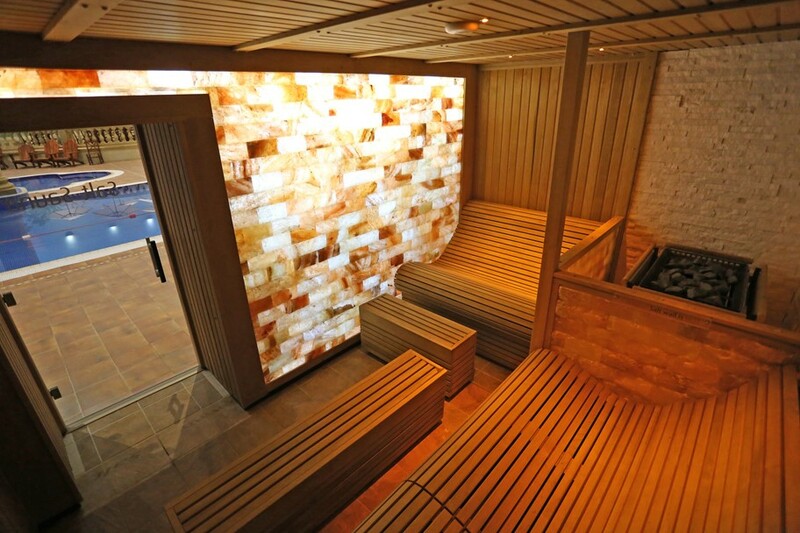 It is also possible to introduce salt vapour into the sauna to further enhance the therapeutic benefits.